Ronald Reagan (1911-2004), a former actor and California governor, served as the 40th U.S. president from 1981 to 1989. Raised in small-town Illinois, he became a Hollywood actor in his 20s and later served as the Republican governor of California from 1967 to 1975. Dubbed the Great Communicator, the affable Reagan became a popular two-term president. 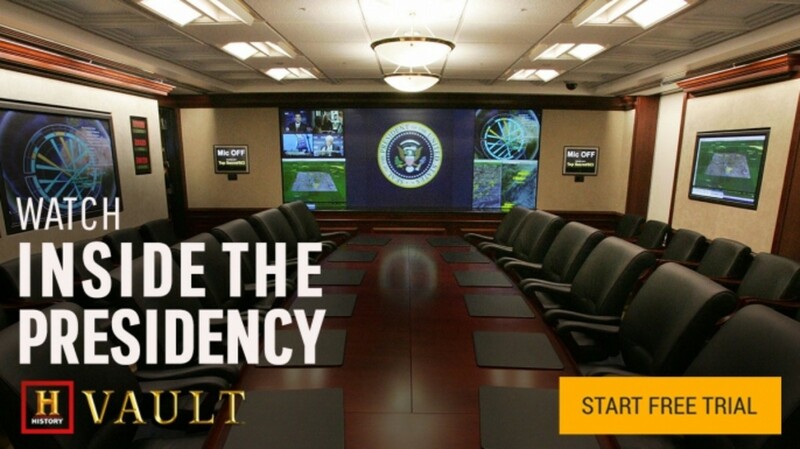 He cut taxes, increased defense spending, negotiated a nuclear arms reduction agreement with the Soviets and is credited with helping to bring a quicker end to the Cold War. Reagan, who survived a 1981 assassination attempt, died at age 93 after battling Alzheimer’s disease. Did you know? Among the items on display at Ronald Reagan&apos;s presidential library in California is a 6,000-pound graffiti-covered section of the Berlin Wall, given to him by the people of Berlin. During Reagan’s early childhood, his family lived in a series of Illinois towns as his father switched sales jobs, then settled in Dixon, Illinois, in 1920. In 1928, Reagan graduated from Dixon High School, where he was an athlete and student body president and performed in school plays. During summer vacations, he worked as a lifeguard in Dixon. Reagan went on to attend Eureka College in Illinois, where he played football, ran track, captained the swim team, served as student council president and acted in school productions. After graduating in 1932, he found work as a radio sports announcer in Iowa. In 1940, Reagan married actress Jane Wyman (1917-2007), with whom he had daughter Maureen (1941-2001) and an adopted son, Michael (1945-). The couple divorced in 1948. In 1952, he married actress Nancy Davis (1921-). The pair had two children, Patricia (1952-) and Ronald (1958-). During World War II (1939-1945), Reagan was disqualified from combat duty due to poor eyesight and spent his time in the Army making training films. From 1947 to 1952, and from 1959 to 1960, he served as president of the Screen Actors Guild (SAG), during which time he testified in front of the House Un-American Activities Committee (HUAC). From 1954 to 1962, he hosted the weekly television drama series “The General Electric Theater.” In this role, he toured the United States as a public relations representative for General Electric, giving pro-business talks in which he spoke out against too much government control and wasteful spending, central themes of his future political career. In his younger years, Ronald Reagan was a member of the Democratic Party and campaigned for Democratic candidates; however, his views grew more conservative over time, and in the early 1960s he officially became a Republican. In 1964, Reagan stepped into the national political spotlight when he gave a well-received televised speech for Republican presidential candidate Barry Goldwater (1909-1998), a prominent conservative. Two years later, in his first race for public office, Reagan defeated Democratic incumbent Edmund “Pat” Brown Sr. (1905-1996) by almost 1 million votes to win the governorship of California. Reagan was reelected to a second term in 1970. After making unsuccessful bids for the Republican presidential nomination in 1968 and 1976, Reagan received his party’s nod in 1980. In that year’s general election, he and running mate George H.W. Bush (1924-) faced off against President Jimmy Carter (1924-) and Vice President Walter Mondale (1928-). Reagan won the election by an electoral margin of 489-49 and captured almost 51 percent of the popular vote. At age 69, he was the oldest person elected to the U.S. presidency. After the more informal Carter years, Reagan and his wife Nancy ushered in a new era of glamour in the nation’s capital, which became known as Hollywood on the Potomac. The first lady wore designer fashions, hosted numerous state dinners and oversaw a major redecoration of the White House. Just over two months after his inauguration, on March 30, 1981, Reagan survived an assassination attempt by John Hinckley Jr. (1955-), a man with a history of psychiatric problems, outside a hotel in Washington, D.C. The gunman’s bullet pierced one of the president’s lungs and narrowly missed his heart. 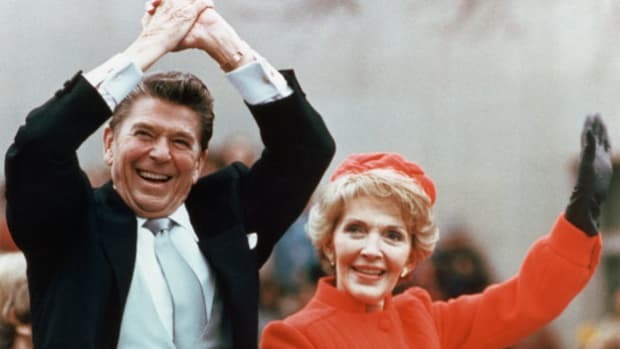 Reagan, known for his good-natured humor, later told his wife, “Honey, I forgot to duck.” Within several weeks of the shooting, Reagan was back at work. 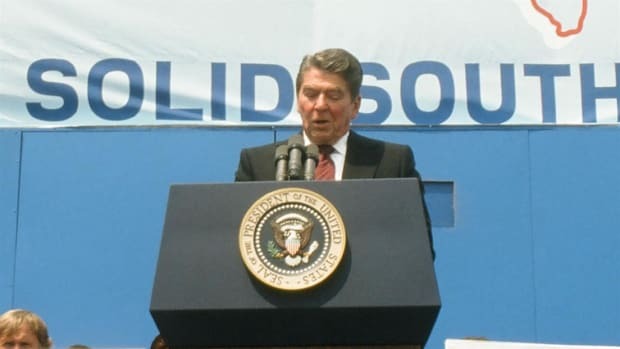 On the domestic front, President Ronald Reagan implemented policies to reduce the federal government’s reach into the daily lives and pocketbooks of Americans, including tax cuts intended to spur growth (known as Reaganomics). He also advocated for increases in military spending, reductions in certain social programs and measures to deregulate business. 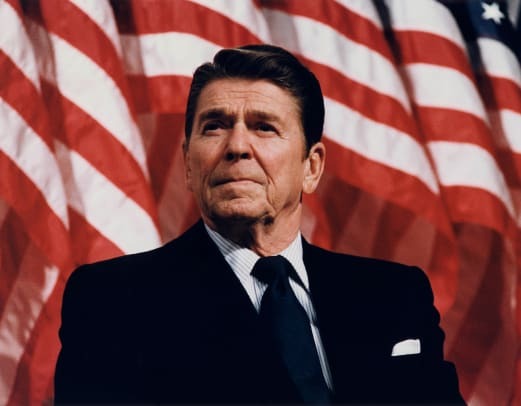 By 1983, the nation’s economy had started to recover and enter a period of prosperity that would extend through the rest of Reagan’s presidency. Critics maintained that his policies led to budget deficits and a more significant national debt; some also held that his economic programs favored the rich. In 1981, Reagan made history by appointing Sandra Day O’Connor (1930-) as the first woman to the U.S. Supreme Court. 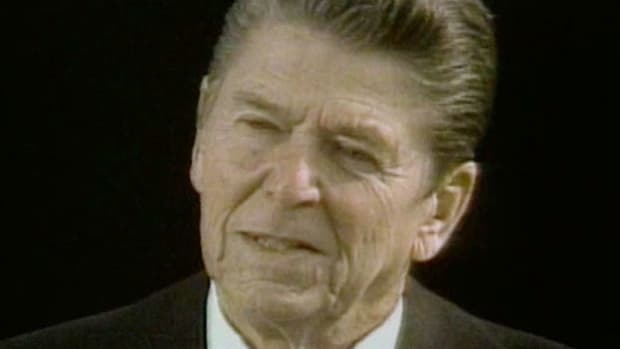 In foreign affairs, Ronald Reagan’s first term in office was marked by a massive buildup of U.S. weapons and troops, as well as an escalation of the Cold War (1946-1991) with the Soviet Union, which the president dubbed “the evil empire.” Key to his administration’s foreign policy initiatives was the Reagan Doctrine, under which America provided aid to anticommunist movements in Africa, Asia and Latin America. In 1983, Reagan announced the Strategic Defense Initiative (SDI), a plan to develop space-based weapons to protect America from attacks by Soviet nuclear missiles. Also on the foreign affairs front, Reagan sent 800 U.S. Marines to Lebanon as part of an international peacekeeping force after Israel invaded that nation in June 1982. In October 1983, suicide bombers attacked the Marine barracks in Beirut, killing 241 Americans. That same month, Reagan ordered U.S. forces to lead an invasion of Grenada, an island in the Caribbean, after Marxist rebels overthrew the government. In addition to the problems in Lebanon and Grenada, the Reagan administration had to deal with an ongoing contentious relationship between the United States and Libyan leader Muammar al-Gaddafi (1942-). During his second term, Reagan forged a diplomatic relationship with the reform-minded Mikhail Gorbachev (1931-), who became leader of the Soviet Union in 1985. In 1987, the Americans and Soviets signed a historic agreement to eliminate intermediate-range nuclear missiles. That same year, Reagan spoke at Germany’s Berlin Wall, a symbol of communism, and famously challenged Gorbachev to tear it down. Twenty-nine months later, Gorbachev allowed the people of Berlin to dismantle the wall. After leaving the White House, Reagan returned to Germany in September 1990—just weeks before Germany was officially reunified–and took several symbolic swings with a hammer at a remaining chunk of the wall. 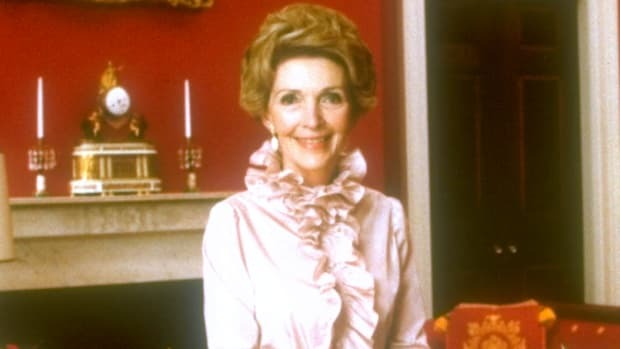 In November 1984, Ronald Reagan was reelected in a landslide, defeating Walter Mondale and his running mate Geraldine Ferraro (1935-), the first female vice-presidential candidate from a major U.S. political party. 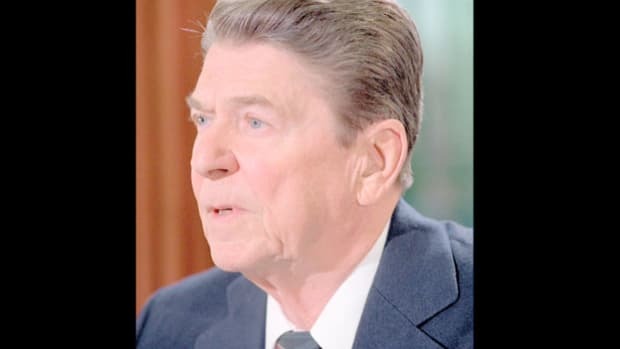 Reagan, who announced it was “morning again in America,” carried 49 out of 50 states in the election and received 525 out of 538 electoral votes, the largest number ever won by an American presidential candidate. After leaving the White House in January 1989, Ronald Reagan and his wife returned to California, where they lived in Los Angeles. In 1991, the Ronald Reagan Presidential Library and Museum opened in Simi Valley, California. In November 1994, Reagan revealed in a handwritten letter to the American people that he had been recently diagnosed with Alzheimer’s disease. Nearly a decade later, on June 5, 2004, he died at his Los Angeles home at age 93, making him the nation’s longest-lived president (in 2006, Gerald Ford surpassed him for this title). Reagan was given a state funeral in Washington, D.C., and later buried on the grounds of his presidential library.